Hope everyone has caught their breath after Gamescom, because PAX Prime is set to start this Friday! As many of you might be traveling there, the Bioware team is busy setting things up. What new info and reveals are in store? We will have to stay tuned, but for now let’s get into this week’s HoloNet Links! You are not required to use the Origin desktop client to download, patch or play the game client for Star Wars: The Old Republic. This applies whether you purchase The Old Republic via Origin.com or from a retailer in boxed form. You will not be forced to install the Origin desktop client. There are still various consumer benefits to the client itself, but it’s not required for The Old Republic. The Origin desktop client seems to be a very hot topic. From everything that I understand, it does nothing more than check to make sure whether illegal software is being used, and yes, it is most likely taking some demographic information. Do I like that? No not exactly, but the ship has long sailed about marketing groups connected to the internet not collecting data to use for advertising etc. This type of data collecting started with surveys and then went electronically with credit cards. Bioware is clearly stating you do not have to use Origin desktop client to play the game. So, until the secret gaming police come to take me away, I will sleep soundly playing this game…well once the game is released, but that is a whole other topic. As stated in the first post in this thread, spamming posts, recruitment messages, requests for entry, etc. are all things you should NOT do if you want to be considered for testing. Any guild found to be spamming this thread (or any, for that matter) will be removed from consideration. Seriously, did we the community need to be told this? Come on people. If you or your guild gets selected for beta testing that’s great, and if you don’t or those who have not gotten an invite please relax. It is not going to help your case by nagging the people trying to get the very game, you want to play so badly, tested and completed. In fact, see above, it could take you and your guild out of the whole testing process. Okay, enough from my soapbox. Fan Fiction Semi Finals voting starting soon! 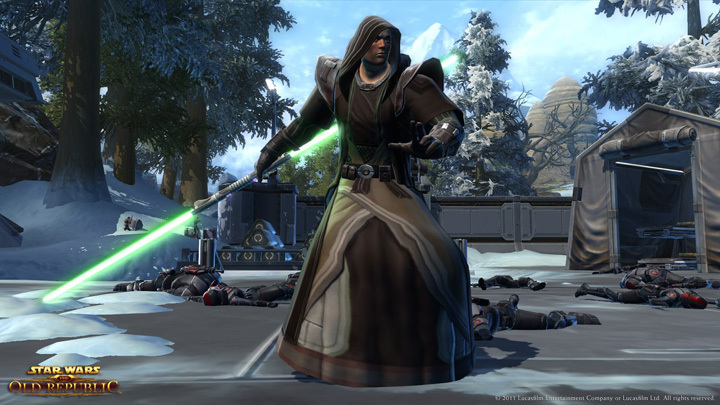 The first round of voting has been completed in the Fan Fiction contest on the official SWTOR forums. The winning submissions for each class have been declared by you the fans voting. The next round of voting begins August 28th through September 4th. The next round of voting will be held on the TORWars fansite. The next round will determine the grand prize winner that will have their submission recorded in an audio book style format. All the best to each of the eight winners, representing all of the player classes in the game, as the next round of voting starts August 28th. Below are the winning submissions for each class. What is the one thing you are most proud of under your responsibility in the game? PVP…I’m a big fan of PVP and how we made it more accessible to people. Accessibility across the board, having the accessibility while still keeping the depth has been a focus of me and my teams. There are lots of great details and information in this interview. I urge you to check out this interview by The-Force.eu . That’s all this week from the HoloNet Links at Corellian Run Radio. If you have any interesting, funny, thought provoking, or something that you find about Star Wars Old Republic link, please let me know via email at jason@corellianrun.com, join the CRR forums, or in the Facebook group. Carla, Kathy and Roxanne are all headed there and will be sending us all kinds of information, interviews, pictures etc. 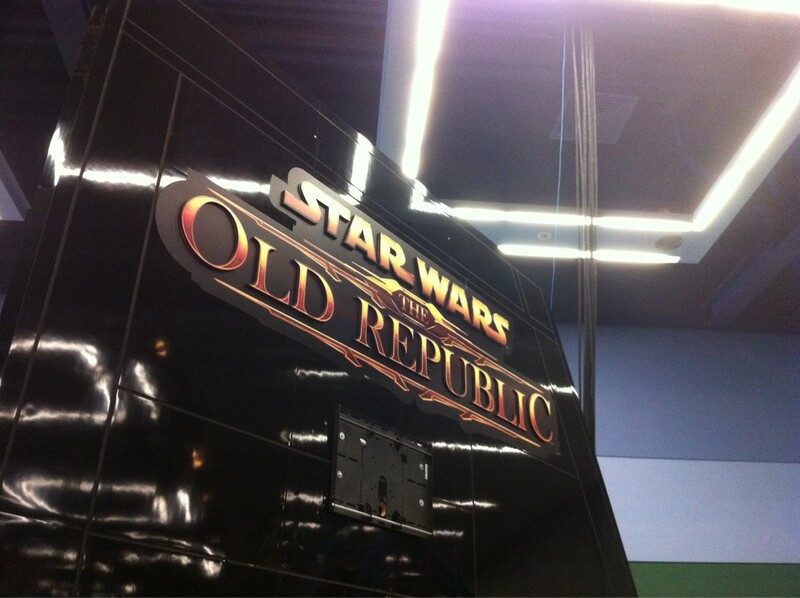 from 2011 PAX Prime…stay tuned here at Corellian Run Radio!